Come From the Heart announces a new opportunity to be "green" while helping local charities. Help Plato’s Closet and the French Broad Food Co-op turn your unwanted T shirt into a reusable bag that benefits Homeward Bound. For every solid color t-shirt donated for Come From the Heart to make into a reusable bag, $1.50 goes to support Homeward Bound with their goal of ending homelessness in our area by providing housing through the Housing First model. To find out how you can benefit your favorite charity, please contact Come From the Heart at comefth@frontier.com or (828)-505-8175. Fed Cardina, is an active member of the community and the Ollie Center at UNCA. Fred brings a lifetime of experience to the RiverLink board as a retired Senior Human Resource Vice President for Siemans and a private consultant. Fred has been actively engaged with RiverLink for several years in the Ross Creek restoration and storm water programs RiverLink has undertaken to clean up this impaired 303 d listed stream that drains Chunns Cove crossing under Tunnel Road before reaching Kenilworth and finally flowing into the Swannao River. Carol Fortham is a retired attorney. Her previous practice focused primarily on conservation work, with experience in zoning issues and right of way acquisition. Carol has been an active volunteer with RiverLink since arriving in Asheville. She worked closely with RiverLink staff to submit Land Trust Accreditation documents. She has also been an enthusiastic volunteer with RiverLink's education and events programs. Sandra Kellman concentrates her practice on all aspects of commercial real estate development and finance, with particular focus on acquisition, disposition, development, management and financing of hotels and mixed use projects, representing owners and brands in single property and complex multi-state portfolio transactions. Sandi works on projects throughout the United States and abroad, including projects in the Caribbean and Middle East. Sandi co-chairs the firm's Global Hospitality and Leisure sector and co-chairs DLA Piper's Global Real Estate Summit. She served for many years on the firm's Policy Committee. Sandi is a new homeowner and part time resident of Asheville. Sandy Melton - Sandy is a long time resident of Madison County and part owner of Blue Heron Whitewater. Sandy is an important fixture of the Madison County paddling, cultural arts and farming communities in Madison County where she has lived and worked for decades. Sandy will be an important voice and advocate for the new river access points RiverLink is planning in Madison County. Joseph Ransmier has had a studio in the River Arts District since 1995 and is the longest continuously practicing artist in the district. Joe is a master craftsman and woodworker with strong ties to larger arts and business communities evolving along the urban riverfront. Jason Young is the Town Manger for Woodfin and strong advocate for rivers, greenways and open space for clean water, quality of life and as a leverage to attract new businesses. RiverLink has had a long standing relationship with the Town of Woodfin and is very exited to be working with the community as it further expands its river and greenway initiatives. Debi Whitmire - Co-owner Headwater Outfitters, Transylvania County. 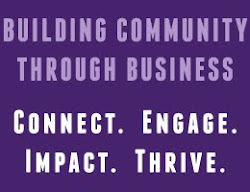 According to Karen Cragnolin, executive director of RiverLink, "we are off to another exciting year with an empowered board of directors and dedicated small professional staff working on behalf of the beautiful French Broad River. We are thrilled and honored that the Wilma Dykeman RiverWay is the number one priority of the Metropolitan Planning Organization (MPO) and is attracting over $50 million in funds to make our rivers more accessible with mixed-use, mixed-income and multi-modal opportunities. The French Broad River watershed is a destination for more and more people, companies and residents for living, learning, working and playing." LEAF Downtown AVL and Asheville Event Co. would like to invite you to experience the community magic of the 1st Annual LEAF Downtown AVL in VIP style! 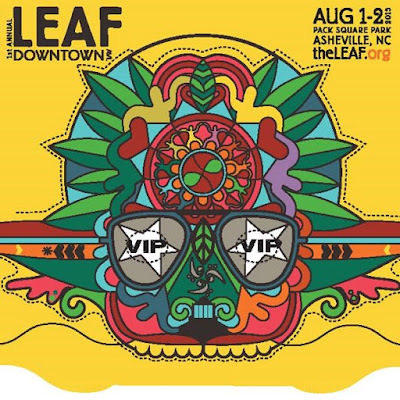 Get your VIP tickets at http://www.theleaf.org/downtown or direct VIP link to buy: https://theleaf.org/store/detail.php?id=1230. VIPs will enjoy complimentary parking at 35 Woodfin Street (Buncombe County Health Department Lot) all weekend long! Parking is limited and available with your paid VIP ticket until gone. All event proceeds support LEAF Schools & Streets.